The shaped white elements that are part of the protective packaging of many products (electronic devices for example), extended polystyrene and other forms of polystyrene are very difficult to recycle. To be more precise, there are only few places that collect this material. When someone mentions foam peanuts people usually come up with at least a couple of ways in which this material can be reused. 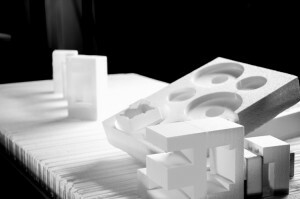 However, the situation is different when it comes to packaging foam in the form of expanded polystyrene. That’s why we have decided to share a few suggestions about how to reuse polystyrene packaging. Used polystyrene can be used to unleash your creativity. For instance, you can use it as a basis for models and/or sculptures. The parts that are flat are used by some artisans as a core to mount paintings, posters or photography on walls. If the pieces are thicker they can be used for block wall art. The air stuck between separate polystyrene beads makes this material a great insulator. There are some homeowners who are worried about the flammability of polystyrene but they can use it in other ways. For instance, they can use them as cold frames in the yard in order to prevent damage to seedlings caused by cold soil. They can also be quite helpful if you are installing a garden pond. Place some polystyrene between the soil and the liner. This is a great option for those who want to maintain the temperature of the water. Finally, you can use it as a hay oven. Due to the fact that this a lightweight material, but at the same time it is a bulky and easy to shape it, polystyrene is ideal for modification of dress costumes or Halloween costumes if people want to appear bulkier. Kids love bath toys and you can definitely use polystyrene for some DIY bath toys. Just cover them with interesting fabric and you’ll get memorable bath toys. Who would have thought that polystyrene packaging could be so versatile?